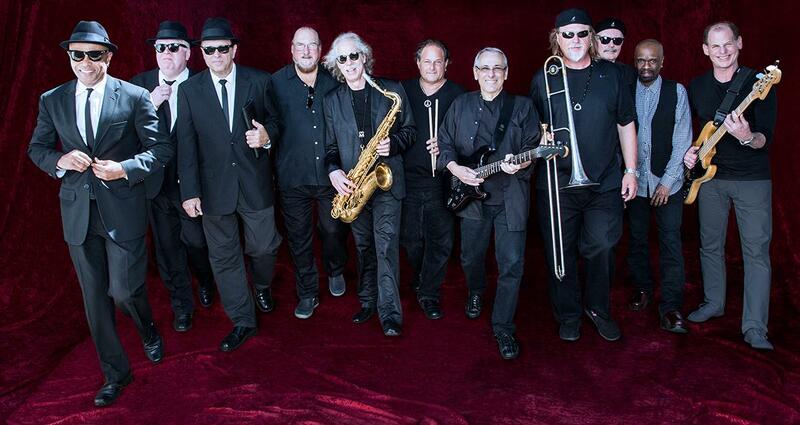 The Original BLUES BROTHERS BAND is alive and well. Original members hand-picked by JOHN BELUSHI and DAN AYKROYD have assembled the ultimate rhythm and blues review and have emerged as a powerful entity in their own right. 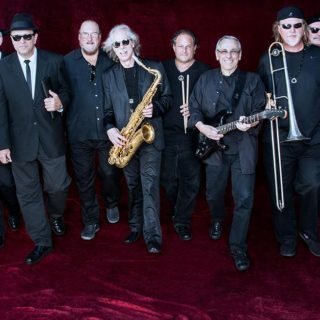 The BLUES BROTHERS BAND, best known for the Universal Pictures feature films “The Blues Brothers” and “Blues Brothers 2000” and the Atlantic Record triple-platinum album “Briefcase Full of Blues“ and the soundtracks from both Films. STEVE CROPPER played on his first hit for Stax Records when he was still in high school in Memphis in 1961 with “Last Night” by the MARKEES. The next year (1962) he teamed up with BOOKER T. AND THE MGs. They had a string of hits including “Green Onions”, “Hip Hug Her”, and “Time is Tight”. The MGs became the staff rhythm section for Stax Records. They played on such hits as “I’ve Been Loving You Too Long”, “Respect”, and “Dock of The Bay” for OTIS REDDING; “In The Midnight Hour” for WILSON PICKETT; “You Don’t Know Like I Know”, “Hold On”, I’m Comin'”, and “Soul Man” for SAM and DAVE. In 1975, Lou “Blue Lou” Marini and Alan “Mr. Fabulous” Rubin became part of the horn section for the TV comedy show “Saturday Night Live”. John Belushi, an actor in the show, loved hearing the horn section play with such artists as JOE COCKER, THE METERS, RAY CHARLES, JAMES BROWN, ARETHA FRANKLIN, JIMMY CLIFF, THE BAND, DR. JOHN, and CHUCK BERRY. John Belushi chose Lou and Alan to be THE BLUES BROTHERS HORNS. Since regrouping in 1988, the Band has triumphantly performed each year in international venues large and small. In Europe the Band played an unprecedented three sold-out nights in Paris’ prestigious Olympia Theater where the seats were removed for the first time in the history of the theater to accommodate the excitement exchanged between the Band and the audience during their performance. 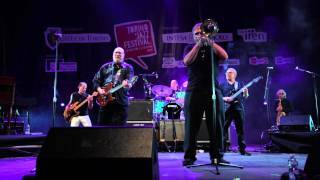 They have headlined at most of the Jazz and Blues Festivals throughout Europe such as Nimes Fair, France; North Sea Jazz Festival, the Netherlands; Pistoia Blues Festival, Italy; and Montreux Jazz Festival in Switzerland to audiences estimated up to 60,000 in one performance. The BLUES BROTHERS BAND’s album, “Live in Montreux” was recorded at the Montreux Jazz Festival and is available on WEA, as is their second album “Red, White & Blues”, which features guest DAN “ELWOOD BLUES” AYKROYD on vocals and harmonica. Also available on CD is the hugely successful “Blues Brothers 2000” soundtrack featuring B.B. King, Eric Clapton, Steve Windwood, Aretha Franklin, James Brown, Blues Traveler and many others.